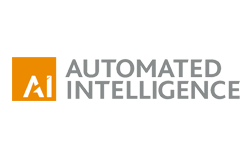 Automated Intelligence (AI) provides software and services to the Public, Private and Third Sectors, enabling the enterprise to manage their information end-to-end through its lifecycle. AI’s solutions improve user experience, data compliance and significantly reduce the cost of managing and storing unstructured data. The technology successfully meets new requirements for data management, compliance, mobile capabilities and cloud computing models. The products are designed to fit seamlessly in a Microsoft environment. AI was founded in 2010 and, since entering the market, have gown an extensive client base especially in the Public Sector. They boast Clients such as The Home Office, HM Treasury, The Department for Education, Statoil Fuel and Retail, Sheffield City Council and many more and have gone on to become a Microsoft Gold Partner. AI initially approached VSL to help them to extend their reach in the UK Public Sector. The main aim was to improve brand awareness of AI solutions to the relevant decision makers and influencers and to ultimately generate leads for Automated Intelligence. Initially the project involved the creation of a database in Regional and Central Government in England, call contacts and secure meetings with organisations that needed to improve the management of their information, extend the functionality of existing SharePoint solutions or replace legacy Electronic Document and Record Management Systems (EDRMs). The initial project was a 10 day pilot to demonstrate the process and results. The contract then grew to act as the lead generation arm of the organisation with 2 callers dedicated to the Account. They were responsible for targeting new industries and territories, including the Financial Services Sector, the Channel and the Public Sector in Wales and Scotland. Working in partnership with AI’s marketing team, VSL profiled the relevant target customers. VSL used a number of online and social media contact resources to research contacts and cross referenced these to ensure they were current. More research was then carried out to understand what systems the organisation currently had in place, how long they had been in place and who was involved in the implementation. Contact was then made, introducing AI and the suite of solutions they offer and uncovering projects that AI would be able to support. Over 100 customer engagements in the UK Public Sector were secured by VSL. These were in the form of meetings with AI Sales team as well as webinar and event attendance. Ready to see how we can achieve results like this for your business?